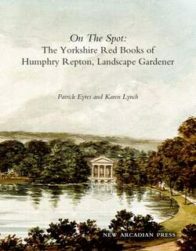 On The Spot: The Yorkshire Red Books of Humphry Repton, Landscape Gardener by Patrick Eyres and Karen Lynch: 29.7 x 23.3 cms, 197 pp, 165 illustrations, £25 UK, £35 Airmail. 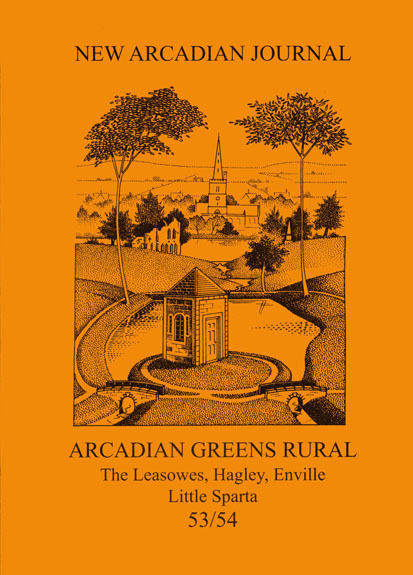 This is the “new book” on Repton mentioned in the Yorkshire Post and Harrogate Advertiser on 2nd and 24th January respectively. 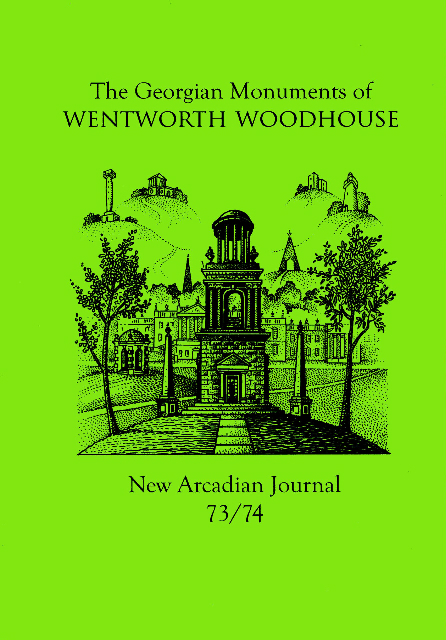 The six extant Red Books are reproduced in On The Spot, which contains the most up-to-date research on Repton’s commissions – Armley, Bessacre, Harewood, Langold, Mulgrave, Oulton, Owston, Rudding and Wentworth Woodhouse – along with a festival of associated imagery. It is the 3rd ‘Surrogate NAJ, enlarged and in colour’. 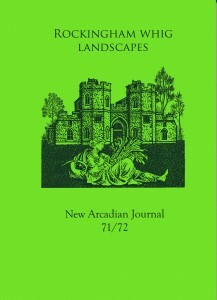 Through the New Arcadian Journal, the New Arcadian Press publishes studies in the cultural politics of the eighteenth-century landscape garden. The New Arcadian Journal is the fine press book that uniquely combines original scholarship with artist-illustration. For published appreciations, see Reviews (menu bar above). Click on the ‘Portfolio & Shop’ (menu bar above) to see:- details of all the back issues, and acquire NAJs online: £25 UK, £30 Airmail. 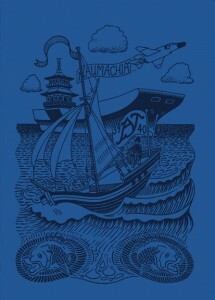 For NAJs 1 – 28: £15 UK, £20 Airmail. For purchases by post, email, phone, see ‘Contact Us’ (menu bar above). ~ See also all the 70 Broadsheets (1981-2011) in ‘Portfolio & Shop’ (menu bar above) as well as the books, cards, posters and ephemera.